Lord Windsor Coffee has been pumping out quality coffee for years. Wade is the head roaster and owner that selects the beans Lord Windsor will be serving. 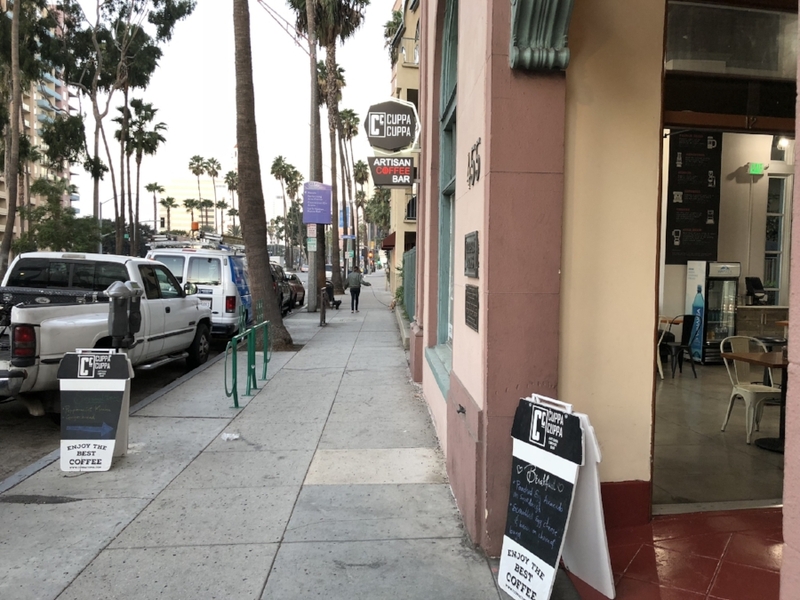 The space serves the Alamitos Beach neighborhood and is very relaxing with plants, restored wood, and of course, amazing coffee. We stick to their pour over coffee, or straight espresso when we give them a visit. The one thing you realize when you walk into Steelhead is that it's definitely a Cal Heights neighborhood hangout. Most regulars know each other, and the baristas are super friendly. They are a multi-roaster which means that they carry roasted coffee from all over the world. It's a great place to set up a meeting, or get some work done. We usually get a lavender latte, drip coffee, or one of their seasonal drink offerings. 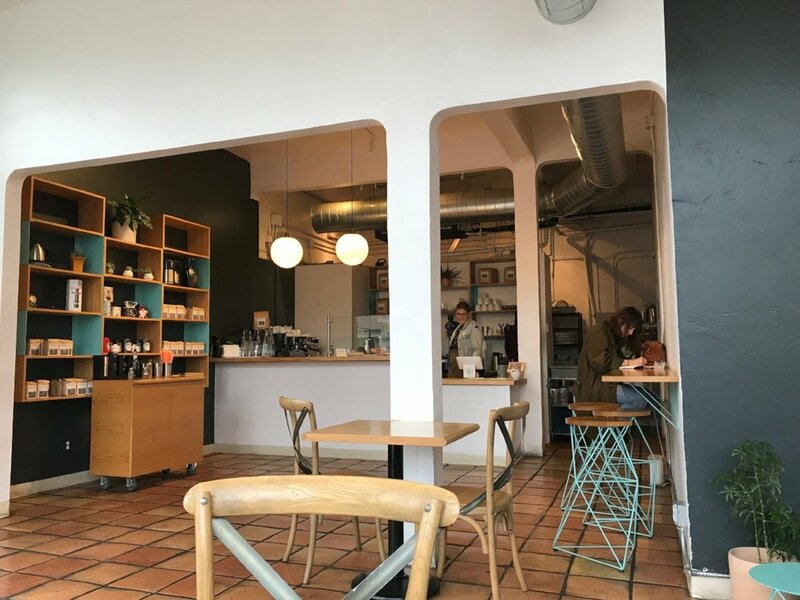 A local's favorite coffee shop that has been serving the Carroll Park* neighborhood since 1989, Portfolio excels at blended coffee drinks and dark bold coffee. 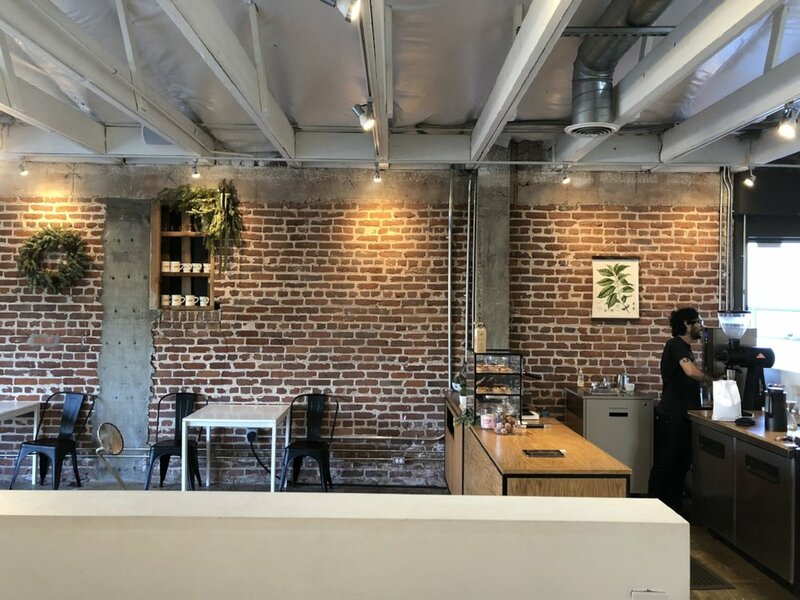 Their sister shop, Berlin, made it on our 2017 list of Top Coffee Shops in Long Beach. This year, we thought it was high time we included them both. Be sure to check out their blended coffee drinks and bold drip coffee. It seems like only yesterday that Recreational Coffee opened it's doors to serve the Downtown Long Beach neighborhood. They have a massive Instagram game and the owner Bobby now roasts their coffee. A cool thing they do for the community is on Sundays they host public cuppings. When it comes to ordering, we love their espresso shake and single origin pour overs. They also have a great iced basil coffee drink that is similar to a craft cocktail. Lastly, don't sleep on their food menu. They have top notch options for breakfast and lunch. The owner of Commodity has worked all over Southern California and Portland as a barista. His barista game is strong and he brings top European Roasters to Long Beach. Every time we stop in they seem to be rotating another roaster into their lineup. We dig their pour overs, cappuccinos, and fun playlists. Locally roasted and delivered via bike is how Rose Park Roasters started their coffee journey in Long Beach. You can now find their beans all over Los Angeles and Orange County. We usually get a cold brew or a coconut honey latte. If you're hungry, they also serve up locally sourced avocado toast. 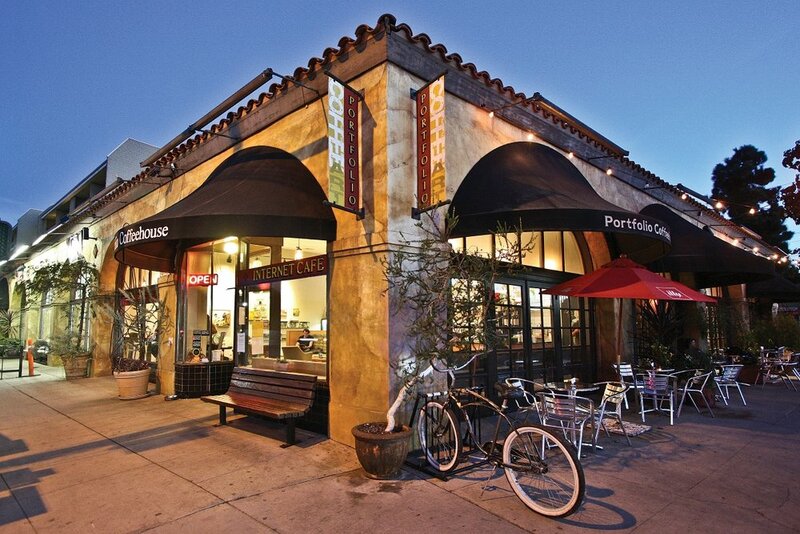 Most people try to describe Tierra Mia by calling it the "Latino Starbucks." This is partially correct, since they do excel at frappuccino-style frappe drinks with a Latino twist. Take, for example, their blended horchata frappe, chocolate Mexicano frappe, and Coco Loco frappe (for you Disney fans). We enjoy their pour over options that highlight Latin American and African beans. A quick note: they do not have WiFi. For as small as this joint is, it sure does pack a punch. Located on 4th Street Retro Row near the Carroll Park neighborhood, WeOp excels at breakfast and top notch coffee. It is tiny, but worth checking out for their selection of baked goods and roasted coffee from Washington and the Inland Empire. We enjoy their "Shmancy" drink which includes cold brew coffee, angostura bitters, and sparkling water. Special note: they're closed Mondays. 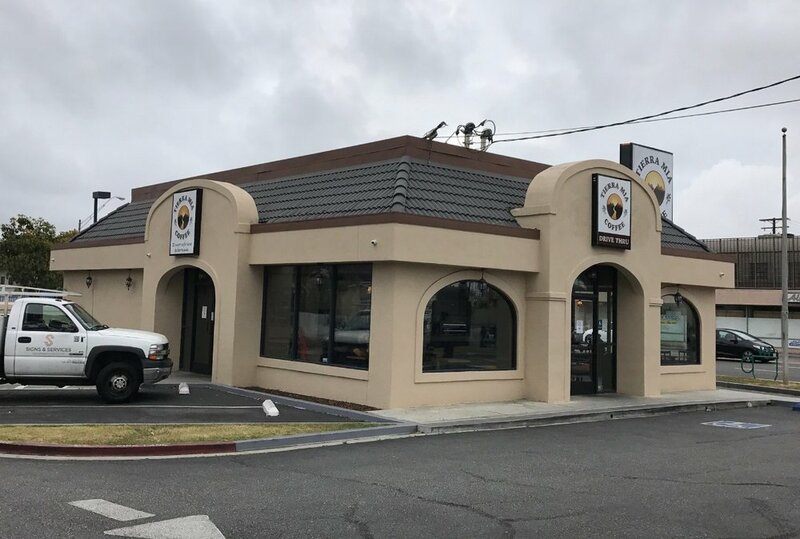 Opening a coffee shop in North Long Beach is a brave move. 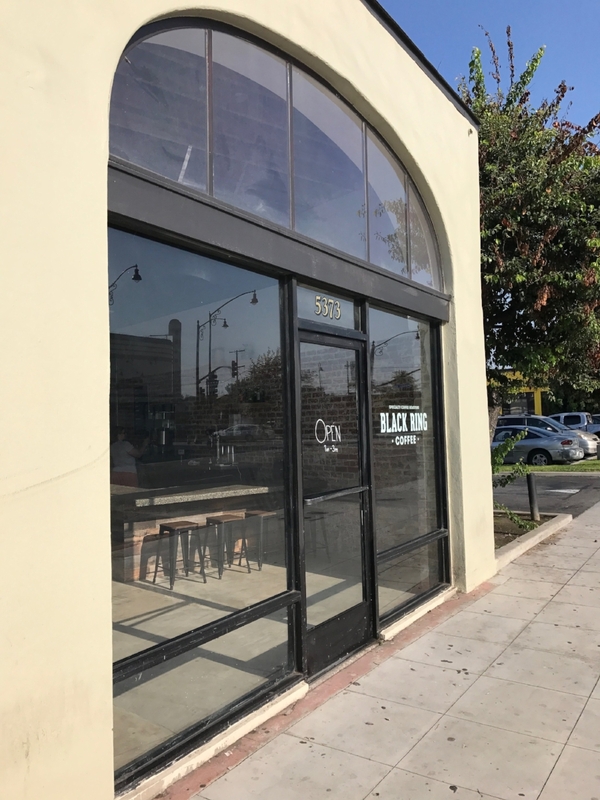 But that didn't stop long time roaster Black Ring Coffee from putting their first location in the Sutter neighborhood of Long Beach. They have a great Honey Oat Latte and a fine espresso. If you find yourself at the Michelle Obama library and need a coffee jolt, give them a visit. We finally made it over to the Eastside's very own Viento y Agua and wondered what took us so long. 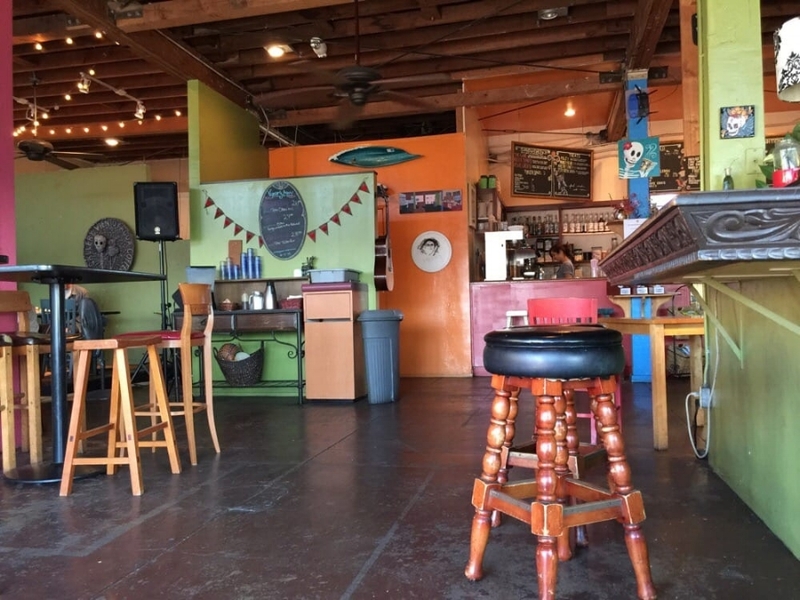 A Long Beach staple that hosts open mic nights and slangs superb coffee. We tried their Mexican Mocha and it was delightful. It stacks up to most we've tried around Los Angeles. Thursday* nights are open mic night so get your poetry ready and head on over! If you've never heard of Polly's, then you're probably not from Long Beach. Not a problem, though -- we got your back. Polly's has been around since the 1970s, and this OG shop serves the Belmont Shore community like no other. Amidst Starbucks, Peet's, and a Coffee Bean & Tea Leaf all on 2nd Street, Polly's is still thriving. Support local and grab a coffee if you're in this neighborhood. We usually get an espresso which is roasted pretty dark and highlights a full body chocolate taste. When you think of a coffee shop your perspective might be different from ours. You may look at their Instagram to see if this coffee shop is specialty or not. I might look at how the coffee shop and its staff connects with its neighborhood. You may look at their menu and if they have single origin pour overs or flat whites. Whatever the case may be we all look at a coffee shop a little differently. Fox Coffee House serves the Wrigley neighborhood, creating a safe haven for the community around them by hosting local artists and musicians. Go experience it for yourself. For a solid coffee recommendation, we say try their iced latte. Cuppa Cuppa is a coffee shop located on Ocean in Downtown Long Beach. They have some great food and coffee. The shop has multiple rooms and is very modern looking. The menu has breakfast sandwiches, avocado toast, and pastries. Coffee wise, we stick to drip coffee when we come here because they feature Rose Park Roasters. They also have several brew methods available. Give them a visit next time you are in Downtown Long Beach. Don't see a coffee shop that you love? Comment below or email us at hola@longbeachcoffee.club!